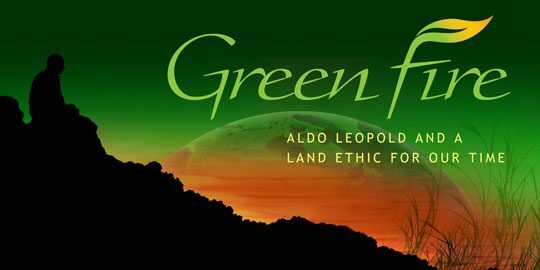 The first full-length documentary film ever made about legendary conservation thinker Aldo Leopold, Green Fire explores Leopold’s extraordinary career and his enduring influence – tracing how he shaped the modern conservation movement and continues to inspire projects all over the country that connect people and the land. Awards garnered by the film include an Emmy Award, Best Historical Documentary, Chicago/Midwest Chapter, 2012; a Telly Award, 2011; and a CINE Golden Eagle Award. Available in our store is a two-disc set, featuring both the director’s cut and public television versions of Green Fire, plus more than 100 minutes of bonus features. We’ve contracted with Bullfrog Films to distribute all public licensing for Green Fire. Learn how to host a screening, then add your screening to our events calendar. You can also search our calendar to find a screening near you.